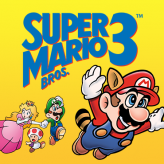 Guide Mario as he embarks on an exciting adventure crossing multiple enemies and obstacles to pursue princess Daisy. 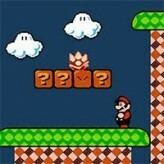 Avoid enemies and jump on platforms towards your goal in Super Mario Land. Super Mario Land is a two-dimensional side-scrolling platform game created by Nintendo for their Game Boy game console in 1989. You will play as Mario and will go on a journey moving to the right in order to save a princess while avoiding enemies and pitfalls. Jump under mystery boxes scattered all throughout the field in to get extra life points and special powers that will help you survive the tough journey. Each level also ends in a platform challenge leading to two types of exit points; the regular exit point which is located below the ground, and an alternative exit point above. Good luck and have fun! 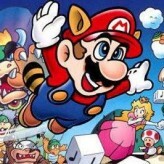 Super Mario Land is an online GB game that you can play at Emulator Online. This free Game Boy game is the United States of America region version for the USA. 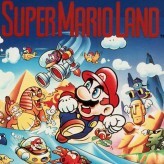 Super Mario Land is a single title from the many adventure games, action games and mario games offered for this console. 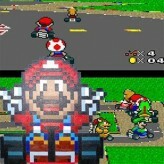 If you enjoyed playing this, then you can find similar games in the gb games category. 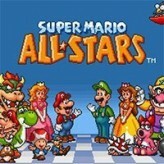 Super Mario Land game is from the various retro games on the site, and there are more games like this, including Super Mario 64, Kirby: Nightmare in Dreamland and Super Mario World.